See our equipment price list for discounted RRP prices! From complete beginners to students closing in on their black belt, our kickboxing classes are perfect for everyone. Alongside adult classes, Phoenix Kickboxing also runs sessions designed for children. In order to provide safe and enjoyable classes, Phoenix Kickboxing has put together a team of fully qualified instructors. Using years of experience, our instructors will help each student to improve with every session. Improve your strength and fitness while learning a new skill by taking part in our kickboxing classes. At Phoenix Kickboxing, we have been hosting classes for more than 10 years, working with students of all ages and skill levels. Based in Nottingham, our kickboxing school is home to a number of skilled instructors, including our chief instructor, Nicole, who has more than 27 years of experience. Phoenix maintains a friendly and welcoming environment, and preserves competitive class prices despite the exceptional quality of our classes. 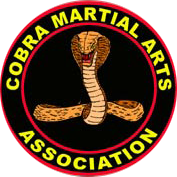 Phoenix Kickboxing is a proud member of the Cobra Martial Arts Association (CMMA).